There is Biblical evidence that “Mary Magdalene” was actually three different women: 1) a prostitute who washed Jesus’ feet, 2) the sister of Martha and Lazarus who stayed to listen to Jesus preach and 3) a rich but sick woman cured by Jesus who became a close disciple. There is a strong propensity in the art of the historic European Catholic Church to combine all of these women together. A feminist reading of Mary’s treatment would suggest that the prostitute aspect was added to her identity to downplay her significant role as a disciple. However you want to deconstruct this Mary (or Marys? ), the iconography of Mary Magdalene can be separated into three themes although they are still very cross-referential. The wealthy Mary of Magdala (a city along the Sea of Galilee) was said to be cured of an illness by Jesus and became a close follower of his. 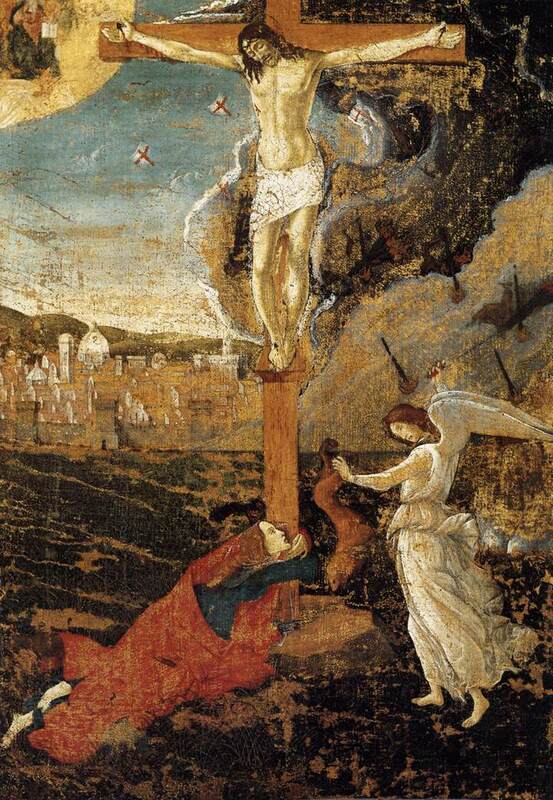 While the 12 Disciples scattered during the crucifiction, it was Mary Magdalene, Mother Mary and John that stay at the cross. 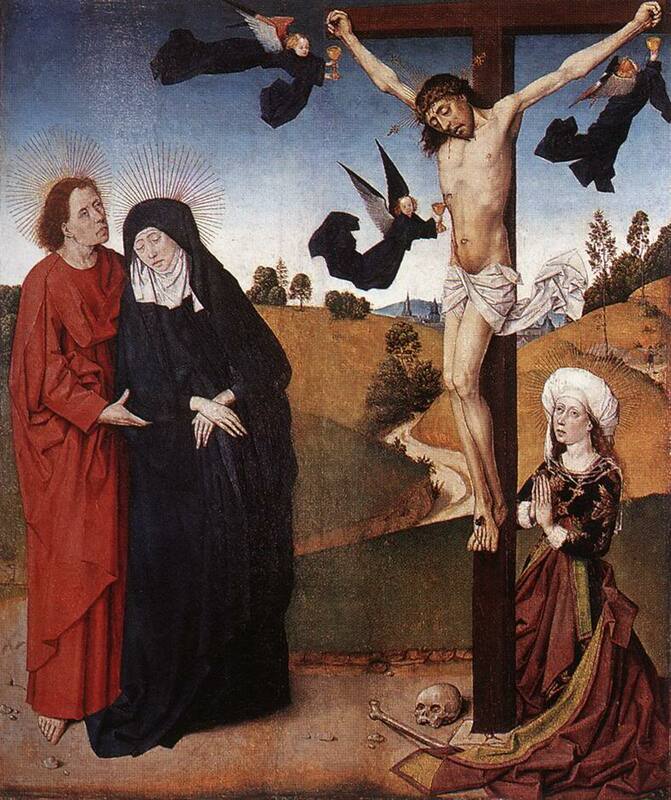 It these images, Mary Magdalene tends to be the most devoted and distraught with her characteristic strawberry blonde hair flowing wildly, such as can be seen in the Isenheim Altarpiece. Mary was also among a group of women who visit the tomb three days after Jesus’ burial and was the first to recognizes the resurrected Christ in a garden according to the Gospel of John. 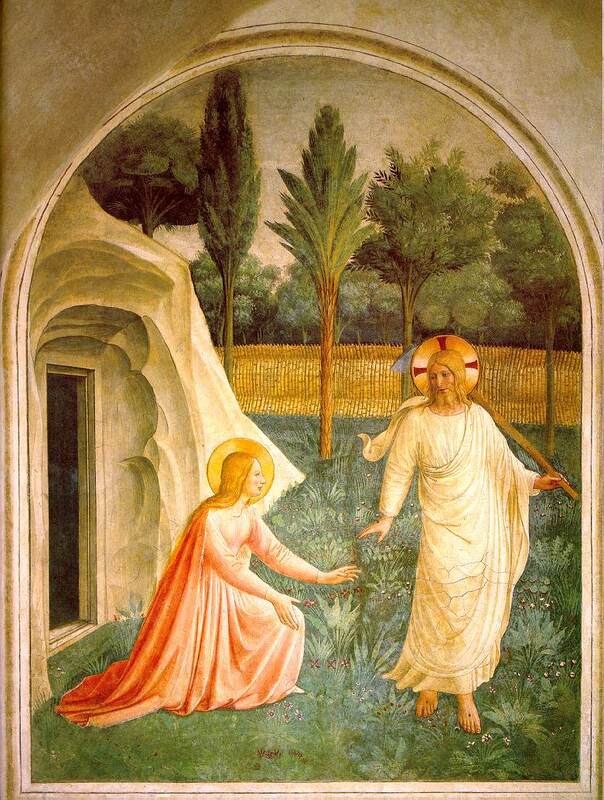 There are numerous Noli me tangere (Don’t touch me) paintings depicting this theologically very significant moment. I particularly love this scene because she is typically reaching ecstatically toward Jesus. In the Gospel of Luke, an upset, repentant “sinful woman” washed Jesus’ feet with her tears, dried them with her hair and anointed him with an alabaster jar of perfume. This woman has long been interpreted to be a prostitute and is depicted as a wild woman, often clothed only in her own hair. Following her conversion, as the Legenda Aurea tells, Mary Magdalene moved to France and lived as a poor, prayerful hermit. Interestingly, while Mary the Disciple is an accepted part of Passion imagery, her long, flowing hair still links her to this “fallen woman”. Giotto di Bondone, Mary Magdalene Speaking to the Angels, scene from “The Life of Mary Magdalene” c. 1320’s, Magdalene Chapel, Lower Church, San Francesco, Assisi. Donatello’s Mary Magdalene is probably one of the most moving pieces of art I have ever seen. In Renaissance Florence, a world of beautiful paintings and visual accomplishments, Donatello created a haggard, frail and unmistakeably penitent woman. 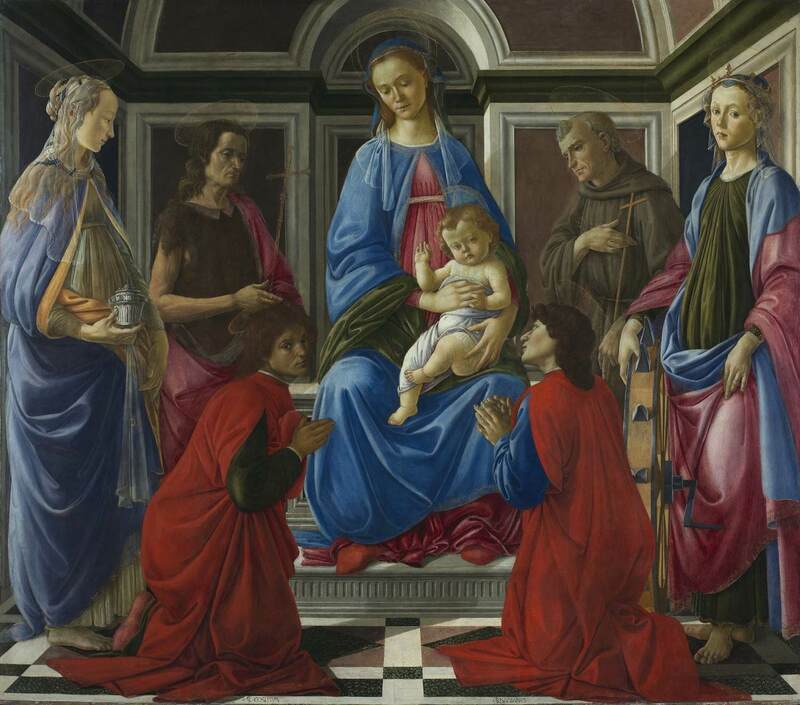 This piece synthesized the drama and emotion of Gothic art with a new-found sense of realism. The final visual aspect of Mary Magdalene is of a studious and contemplative woman. This encompasses some aspect of all three women: Mary the the forgiven prostitute who turned to a quiet pious life, Mary the sister of Martha and Lazarus who wanted to learn more and thus exemplifies the behavior of a devout lady, and finally Mary the rich woman of Magdala who forsakes the material world upon being healed. 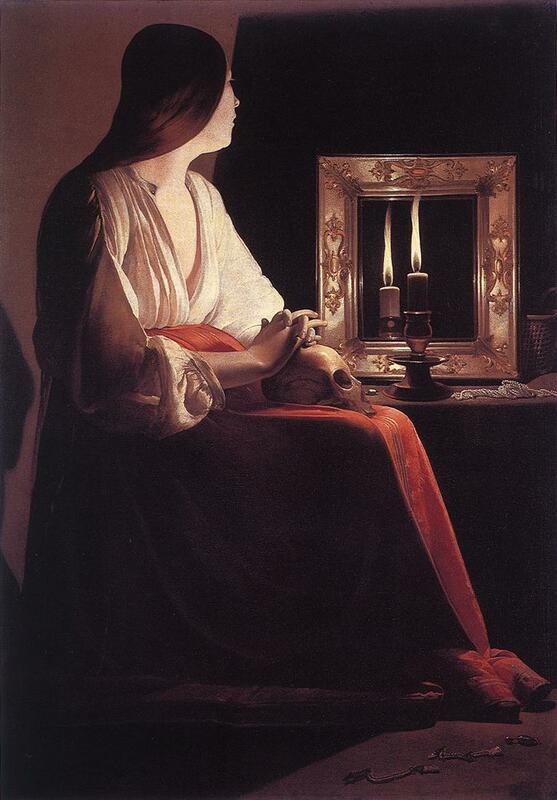 Georges de la Tour executed several images of this Mary Magdalene bathed in a warm, radiant light. Contemplative Mary Magdalene is typically well-dressed but holding an alabaster jar. While today one could argue that this jar symbolizes the perfumes used by the two Marys to anoint the dead body of Christ, most contemporary observers would have associated this with the forgiven prostitute. 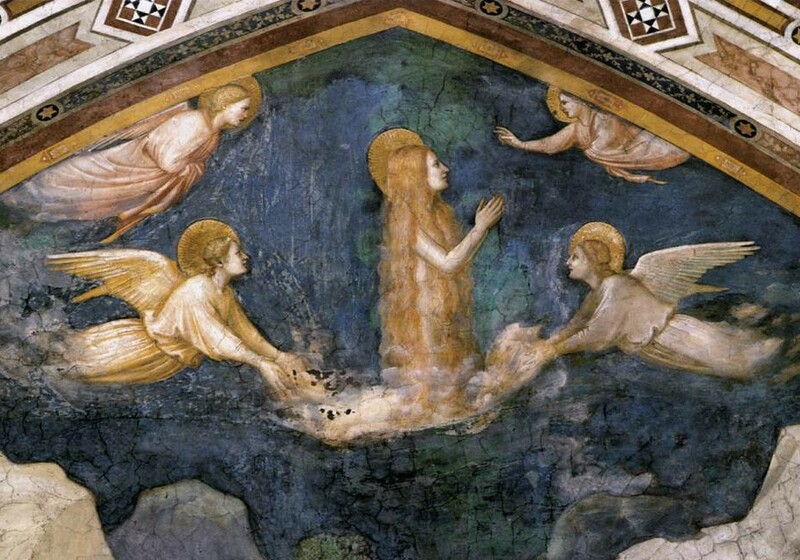 The image below states as much and shows the strong visual link between all aspects of Mary Magdalene even if the theological connection was much more fuzzy. The text above Mary states that she washed the feet of Christ with her tears and dried them with her hair. Rogier van der Weyden, Mary Magdalene, (part of the Braque Family Triptych), 1450, Musée du Louvre, Paris. And if that we’re confusing enough…. 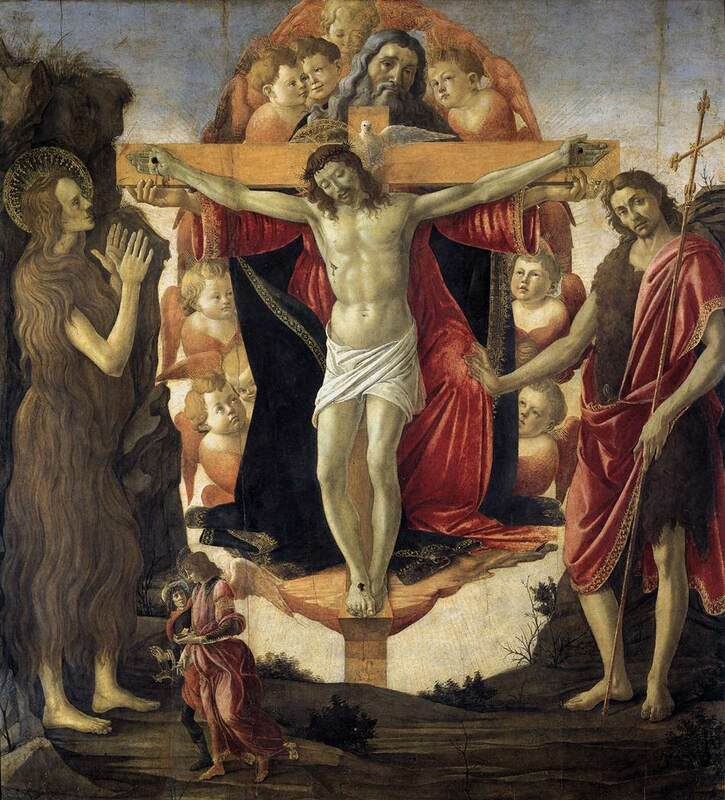 Artists were also not consistent in how they depicted Mary Magdalene, no one maybe more so than Botticelli. Here are four of his paintings which feature different visual facets of Mary Magdalene. Mary Magdalene remains a complex figure in Christian art. Hopefully you can spot the different aspects associated with her hagiography in the next picture you see of this 1 woman (or 3 women, as the case may be)! And don’t forget to check out our group on Facebook for art & travel news! Wonderful post, Christina. I enjoyed revisiting works that I’ve seen in my travels. I was reminded, too, of my first visit to Sicily when I managed to impress my Sicilian mother-in-law by being able to name more saints on sight than she could when we visited a cathedral in Palermo. Studying art history may not have been the most practical choice but over the years has brought me immeasurable happiness and pleasure. Thanks for inspiring the memories! 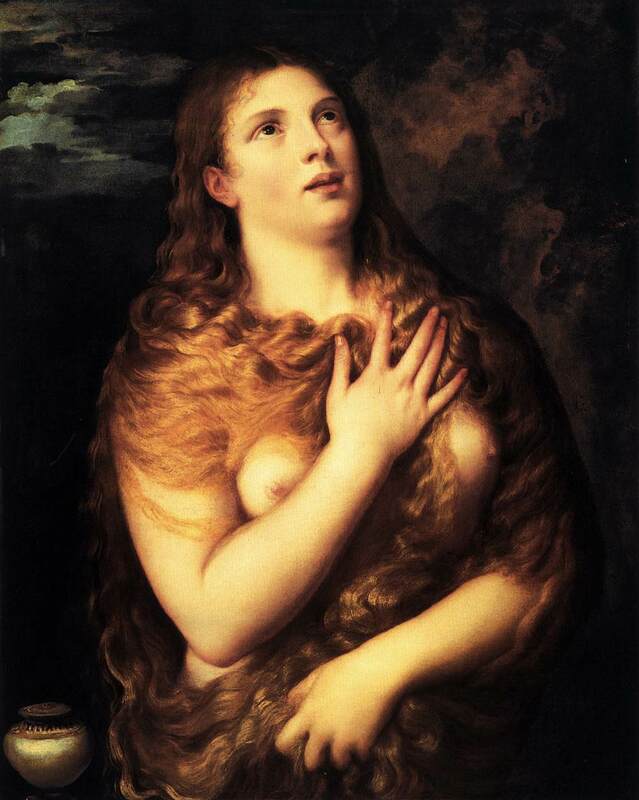 You have selected one of my favorite subjects in art and religion – Mary Magdalene. She is such a mystery in all fields of study because no one quite know who she was, saint or sinner, and if she was demeaned by the Catholic church to lessen her role as a disciple of Christ. I do, somewhat laughingly have to admit that you omitted the “Da Vinci Code” theory here…wouldn’t it be grand if were all true? Thank you for exposing me to all of these new pieces of art..I hadn’t seen half of them before. What a wonderful contribution to this month’s ArtSmart! Haha, yes, I purposefully left out the “Da Vinci Code” interpretation. I would write volumes about Mary Magdalene’s imagery and historical treatment, with or without the conspiracy theories, because she is wrapped up in all of these different aspects. Images are so powerful; one derogatory opinion which influences the depiction of any historical figure can get perpetuated as truth. What a huge topic but you covered it so well! I am not overly religious but the iconography of saints and the stories of saints in general are so interesting and complex. You definitely need to know a bit about it if you want to understand Venetian art – something I learnt the hard way. Thanks! I’ve always thought a little “art literacy” goes a long way. Hopefully the ArtSmart Roundtable can provide some of this background for travelers looking to understand art a little better. Aaahh! I’m absolutely loving the Donatello! It almost looks like the medieval German grotesques meets Gaudi. I’m always amused by the downplaying of Mary Magdalene’s role through… creative revision when Christianity really only became popular in the Roman Empire due to its appeal to and inclusion of women. I was not familiar with the contemplative one by de la Tour. Great image. 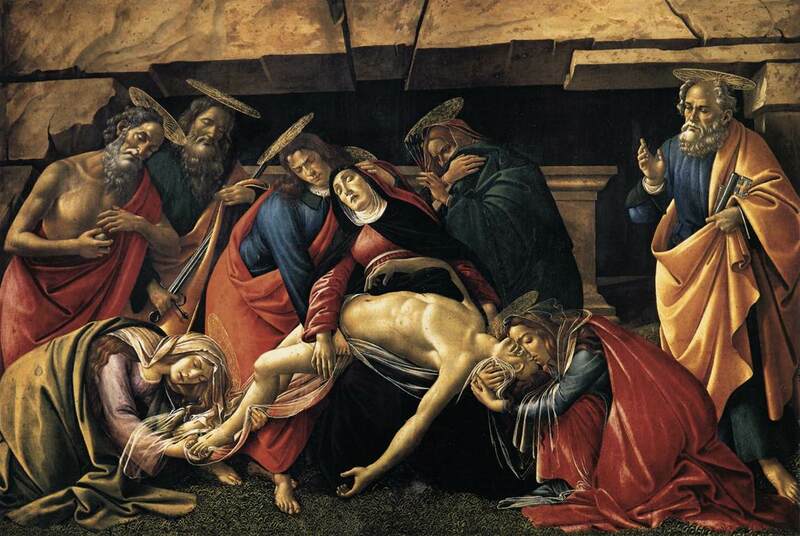 I love the way she is so visibly grieving in Botticelli’s painting, too. Great, informative post!! Thanks. That Botticelli painting is so beautiful. La Tour actually did 3 versions of this contemplative Mary in varying states of dress. I chose to show the most conservative one because it is far more thoughtful image and unfair to dismiss this scene as a reformed prostitute.